This time of year has come again.... BACK TO SCHOOL TIME!!! I don't know about you, but it is slowly transitioning to be my favorite time of year. Not only is the house nice and quiet again, but fall is here and I am loving that the weather is getting cooler and cooler. This cooler weather means more days in my PJ's and more time spent being creative indoors... But, before the weather gets too cold, I hope you all take advantage of these super cool and unique school sessions that I have put together. I don't know if you all feel the same way, but I was starting to get bored with the look of the traditional school photos.. I would have liked to see something fresh brought to school photos and not the same traditional blue backdrop that was used when I was in grade school. 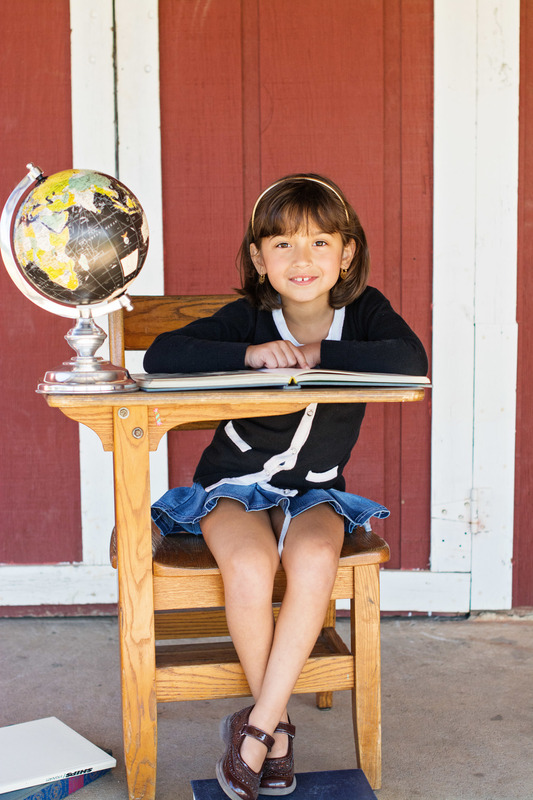 For these photo sessions I will provide some adorable props and set-up a nice "school themed" scene. I encourage to bring anything that your son or daughter loves, and incorporate it into the photos. That way the photos will be uniquely them for that year in their lives. Here are some of the photos I did last year. Enjoy!